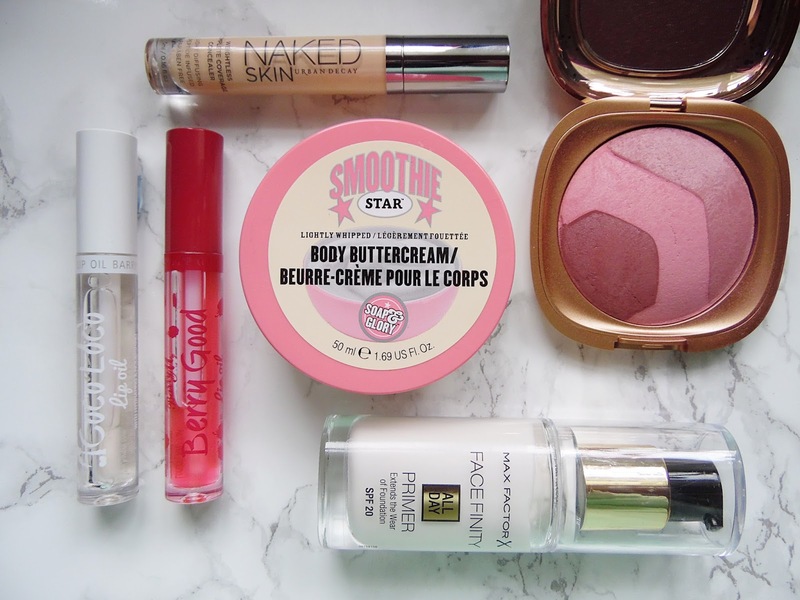 All of the products which have been my favourite sthis month have become must haves in my makeup bag/collection and I know I will be repurchasing them over and over again! This year really is flying by isn't it, I am so happy the Summer is getting closer - I need warm weather! My first favourite this month is the KIKO Desert Dunes Trio Baked Blush in 03 Impulsive Mauve. This is a gorgeous shade and the main thing I love about it is that it is lightly scented with vanilla! I have never found a scented blush and I need to get the others as these blushes are lovely too. This is from the Trend collection for Summer and the whole collection has stunning packaging and I have been so impressed with all of the products I have tried but this is my favourite product at the moment. You can swirl your brush between all three of the baked shades or you can use them individually. These blushes are super soft and apply beautifully to the cheeks and last all day. The Urban Decay Naked Concealer is massively hyped about and I am obsessed with it! It is the perfect concealer for the under eyes to conceal and brighten without making the under eyes look heavy and it doesn't cake up throughout the day. This concealer can also be used on blemishes and I do love using it for that but it makes the most difference when used under my eyes. It really does look like skin once applied and it has a great buildable coverage. This is the only concealer I have found that actually conceals my super dark circles - love! My next favourite this month are the Barry M Lip Oils, these things are incredible and I hope Barry M release more in the future. These are incredibly hydrating on the lips and actually provide long lasting softness and moisture to the lips. They both smell incredible and make the lips look so glossy! I am a huge fan of lip oils and these ones beat some of my high end options as they feel more like a gloss on the lips as they are slightly thicker and last longer. If you are only wanting to pick up one I would go for Berry Good as it add a slight hint of colour to the lips. I usually hate body butters but the Soap and Glory Smoothie Star Body Buttercream has become a holy grail and I need to pick up the full size immediately! This is lightly whipped so it sinks into the skin so quickly and doesn't leave you feeling sticky. This makes my arms and legs super soft to prep them for fake tan and left the skin scented like vanilla and almonds. I hope Soap and Glory release more whipped body butters as I prefer them over the original. I look forward to using this every night as I know my skin is going to be so soft and smooth the next morning. My final favourite this month is the Max Factor Facefinity Primer. While I haven't noticed this to make any difference to prolonging the wear of my foundation, it does create a great smooth base for makeup and it applies much better. I love that this has SPF20 in with the weather being much warmer we all need to make sure we keep our skin well protected from sun damage.